: Recording in Studio C at the 511 Studios located in the Brewery District in downtown Columbus, Ohio, this is Note To Future Me. I’m Brett Johnson, owner and lead consultant at Circle270Media Podcast Consultants. 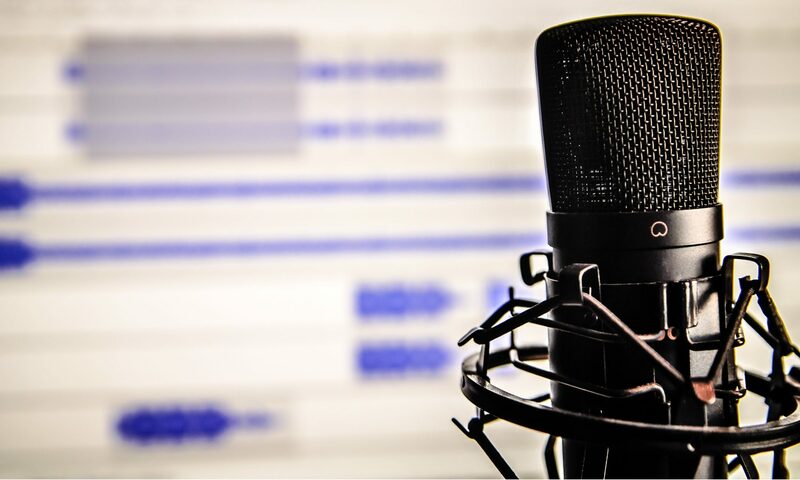 : Master your podcast interviewing skills. Recording a good podcast interview is really harder than you think. Despite the fact that a brand new podcaster considers it a really easy option in. Initially the interview format sounds pretty simple. Find an expert get them on the phone or zoom them in, or in person and then ask them some questions. There’s no need for you to do anything right? : That’s what this podcast is about. Recording a good podcast interview. And getting the best content you can from your guest. Earlier I interviewed radio veteran Mark Nuce, news director at North American broadcasting in Columbus Ohio. He has decades of experience producing the news as well as hosting a weekly public affairs program. Here is my interview with him. : Today we’re going to talk about how to develop interviewing skills that will. 3) Make your podcast stand out and get more shares and reviews and probably bring a ton of value to your listeners as well. That’s the main thing. : In my estimation, some of the best interviewers you’ll find are in broadcast media, specifically radio, in their news departments. Sadly those folks are a dying breed with the advent of music focus formats or network talk shows. But they still do exist, in today’s radio landscape. With me today is Mark Nuce, he is the news and public affairs director at North American Broadcasting, Incorporated in Columbus Ohio. Thanks for joining me today. : Forever. I’ve been here for 30 years so a lot of interviews. : Well I anchor and write all morning news. I’m also responsible for public affairs interviews and I’m also responsible for public service. And I’m of course you know being a news person. I have to go up to news events, sporting events and a lot of different experiences. : You and I have worked together for over 20 years and in that time I’ve learned from you how to become a better interviewer whether you knew it or not. Which has helped me on various podcasts that I co-host as well. 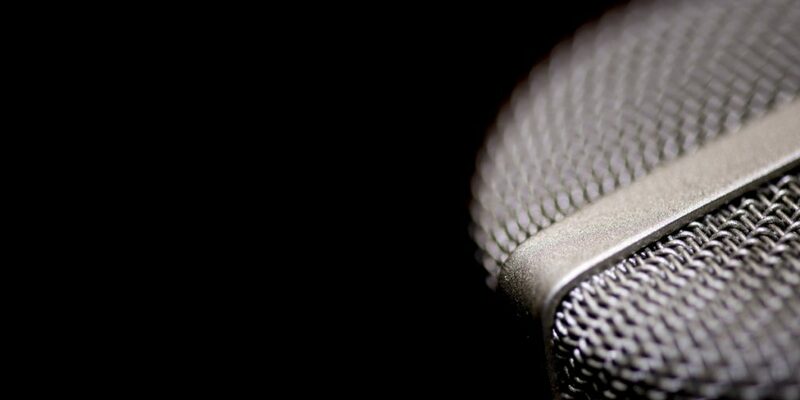 What are some key areas that you focus on before you recording the interview? : I think basically there are four key areas that I like to think about. One is doing your homework, research. Another is planning. Make sure that you plan out how you’re going to do the interview. And then listening and flexibility are the other two areas. So those four areas. : Okay let’s break it down. What goes into the research that you do? : Well a lot goes into the research. First of all talk to the person you’re going to interview beforehand and see if they have any information they can send you. As far as or “do you have any press releases?” or “do you have any basic information?” Maybe even sometimes a yearly report from their organization or from their company that they can give you ahead of time. : Go online. Everything is online these days. Everybody has a website. Go onto the website. One of the things I like to do when I get to the website is…there’s always two categories on a website. One says “about.” So that gives you a lot about the company and who the officers are and what they do. : And another is, it says “news” and usually you can go there and that gives you the latest press releases from that company. So you can go in there and those are great ways to find things out. And LinkedIn, Facebook, these are all great resources to go out and find information about companies, before you talk to them. : And that’s why I noted earlier over the you know the three decades you’ve been doing this how much easier it’s become. : Well you’ve got the research done, what goes into your planning? : Well the thing that I like to do is after I find out who I’m talking to, well the one thing just like very basic things I like to put their name and title right at the beginning of every page of all of the information that I have. Just so I always get that right when I’m talking to them. Because it sounds terrible when you don’t. : Another thing I like to do is write out a few questions but not necessarily strict like detailed questions. Very basic themes because then you know the next part of it the listening and the flexibility, that’s where it really comes in. And that’s what can really make a an interview a good interview. Not sitting going, question one, then question two, then question 3.
: You do have to write down some questions because sometimes you’ll forget in an area that you want to talk about. But that’s one of the things that I’d like to do when it comes to preparing for an interview and planning. : And then talk to the person. Put them at ease. Talk a little bit and make sure that they know that what you’re doing isn’t formal, that what you’re doing is sort of a conversation. Remind them that it’s just two people talking in a room with maybe one other person listening at a time. There may be thousands of people listening but you’re only talking to one person. : You know kind of going to that “mic fright.” Getting your guest at ease. Are there some other tricks that you used to get them at ease, whether you’re doing a phone interview which could be there you know they’re in a comfort zone already, in their office, or at home ,or in the car possibly, or they’re in the studio. Are there some other tricks that you do need help out with them? : I do a couple of things. One thing is like like I said we just chat for a while and then just sit down and talk and let them know what you’re going to ask ahead of time. And remind them that they’re the expert. They have the right answers. You’re going to ask them about their organization, about their life, about their business, about what they do every day. So they’re the experts. You’re just asking basic questions and just going to let them go. : And let them know that, you know, especially for a podcast, there’s no time limit. So they can expand and talk about things as much as they want. : I also bring up too, I’m sure you do as well, things can be edited. Start over. : If you stumble over your tongue or your teeth, as they say, start over and we’ll make it sound like it never happened. : And there are other times when I tell them we don’t edit this because it’s so informal and it’s just a conversation. So you can go both ways with that. If it’s someone who’s really afraid of what they’re going to say, tell them that they can be edited and they can even help you with the editing process saying “I don’t like that” or “could you take that out.”. : Other people, it puts them more at ease when you tell them “hey this is just two people talking to one another.”. : To that point of talking to each other, let’s move on to that listening part. You know I’ve been part of training sessions that really focus on the difference between what hearing and listening really mean by definition. Why is listening an important part of being a better interviewer do you think. : Well because you don’t learn anything unless you listen to what the other person has to say. You’re not going to learn anything, and you’re not going to know what to ask next. : One of my pet peeves is when somebody has an interview all set out, they have their question one, question two, question three. And someone may answer question three and question one but they’ll still go ahead and ask question 3 again because “I have to stay in order.”. : Listen to what they have to say. And nine times out of ten when you do the interview, if you’re listening, they’re going to bring up something that is going to be the best part of the interview, the most entertaining part of the interview, and it’s something you never even thought of or would never think to ask. : And another thing I like to do, too, is to ask people to give personal examples of things. For example, if you’re talking to someone from a charity group say “Give me an example of how your group has helped somebody, give me give me a story.” Because then it’s personal. And then that’s when it brings out everything that they have inside of them because they know what they’ve done. : I’ve noticed that too. I was doing some interviews recently with recruiters and I end up asking them “what do you like about working there?” And boy did it change everything. “I like, oh, I like this, I like this, and like this,” and they kind of went off script and they got to be more personal about what they were doing. It was really fun to watch that light bulb turn on. And don’t be afraid to be absolutely basic. A lot of times I’ll start off an interview, if I’m talking to let’s say, the Epilepsy Foundation, I’ll say “for people out there who have never heard of the Epilepsy Foundation, who are you and what do you do?” It’s an absolutely basic question, but it’s vital. Instead of you explaining it let the expert explain it. And then, again, they can say things during that that open up entirely new avenues into the interview. : What do you think about…you’er past this stage…but I’m sure you do a little bit of it as well, though…going back and listening to yourself, doing that “air check” as we talk about it and broadcasting. Listening to what really worked in others that you can of cringe. “I’m never going to do that again.”. : What’s the best approach to that? Because initially you’re going to have to get over the sound of your own voice and hear what’s going on. But how did you get over that hump as the years progressed and you really dug into listening to yourself? : Listen to yourself. Decide what you like and what you don’t like about what you hear. Try to correct it the next time. Maybe even make little notes. “Don’t say ‘uh’ the time” or you know little things like that. : But then I always have leaned on people that I trusted and people that I admired and people that I worked with to allow them to listen to what I do and give me constructive criticism. Because most of the time people won’t just nitpick at you they’ll give you good constructive criticism. So if you’re doing this on your own or if you’re doing it at the workplace. If it’s at the workplace find somebody you like and trust. Let them hear it and write down something. If you’re doing this at home or you know you’re just getting started, have your spouse listen to it because nobody knows you better than them. And no one will give you more loving criticism than your spouse at least nine times out of ten. : Well, you hope so! Let’s get to that last point talking about flexibility. You touched on it a little bit in regards to planning and letting the interview go its own direction. But let’s dig a little bit more about that. : And I can tell you that happens to me in almost every interview at one point. Maybe not the whole interview. But we always go off in a direction that is somewhere that I didn’t know we were going to go. : I do a weekly public affairs program or so I do a weekly interviews. And then I interview people all the time for the news. But these long form interviews, that we also use for podcasts now, they always go in different directions. So you always have to try to stay flexible. And I think that’s what really makes it listenable and entertaining. : And I think the planning, like you mentioned, three or four questions, give you that guideline that almost allows you to go down those rabbit holes because you know where you can go back. You haven’t lost your train of thought. You know, “Oh yeah, I get to go back to this question,” and helps you get the interview back on track. But allows it to go where it needs to go. : And another point that the when it goes back to the planning and this also goes into the flexibility. You may have some questions you want to ask. But during the process of getting to know the guest before you go on the air, one of the things I always like to say is “is there something you’d like for me to ask you about. Is there a point you’d like to make. Do you have an event coming up that you’d like to promote, or is there something about your organization that’s a misconception or something about your organization that people don’t know about?” That puts them at ease and it also gives them a feeling of more control. : Right. And I was thinking the same thing. We do that a lot, of just saying “hey, this is show, this interview, is all about you.” Quite frankly it’s not an exposé and nailing you on some points that we’ve found out, this, that or the other. : It’s about you. But also let’s expand on that as want to really showcase. And they’re able to use that audio as well in their world on their websites. : As I tell them, this isn’t 60 minutes. We’re not going to grill you about something. We’re trying to help your organization move ahead. We’re trying to give you some publicity. We’re trying to do our due diligence and public service and you know we want this to be a good experience for you. : I think that the best podcasts I listen to, the best interviews I listen to are, when you make it a conversation and not an interview. Again not question after question after question. But be prepared. Know what you’re going to ask. And then just let the conversation flow. And be conversational. Be sure to sign up for my free daily Open The Mic newsletter. I cover podcast news, tips that You should know about to help you with your social media and audio production. Sales advice if you’re looking to sell sponsorships for your podcast. And on Fridays, my suggestions on podcast you should binge on over the weekend. Sign up at www.circle270media.com or find out more as well on www.notetofutureme.com. Thanks for taking notes with me.